Aunty Denise Proud was born in Cherbourg, an Aboriginal settlement in Queensland, Australia and in Wakka-Wakka country. She was an early childhood educator for many years and is a popular international speaker in this field. 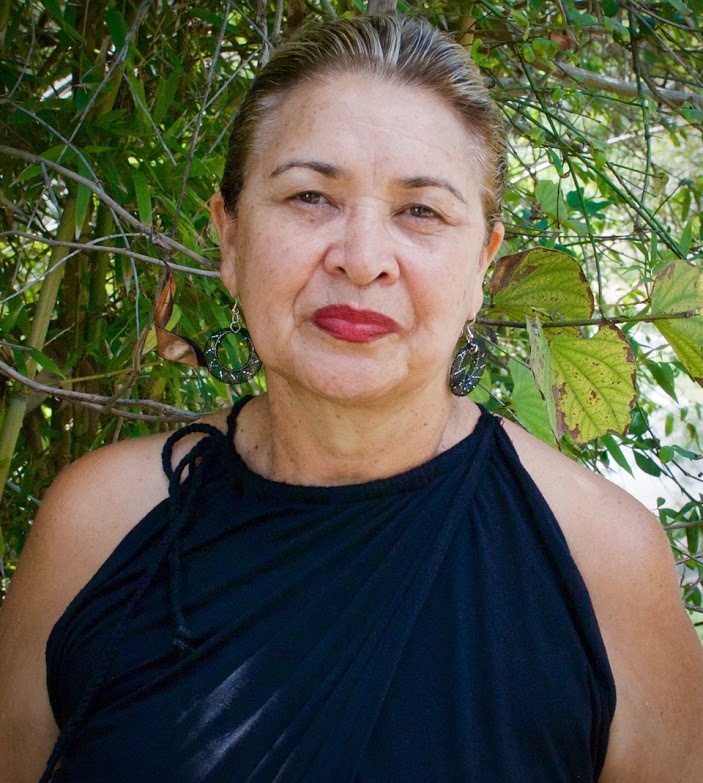 Aunty Denise has also worked in correctional centres, youth detention centres, and women’s centres and has been closely involved with universities facilitating cultural awareness workshops and guest lecturing on a diverse range of topics. Her parents along with many brothers and sisters were major influences in her life and more than a few of the “Chambers” family are well known artists. Aunty Denise has lived for many years at The Gap in Brisbane, Queensland, Australia with her husband David and daughter Monique, where she has set up a studio and likes to paint into the small hours of the morning. She continually supports her family, her community and her country.